It's happy hour when this Solar Garden Flamingo's LED Cocktail illuminates at dusk! 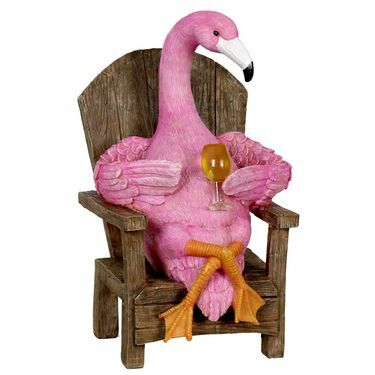 If you're ready to kick back and have some fun, this beautifully hand painted tropical garden statue is for you. Solar powered LED light provides a decorative glowing cocktail at dusk! Made of durable resin, UV treated to resist fading. Size: 7.75" x 6.75" x 11.75"H., approx. 4 lbs.